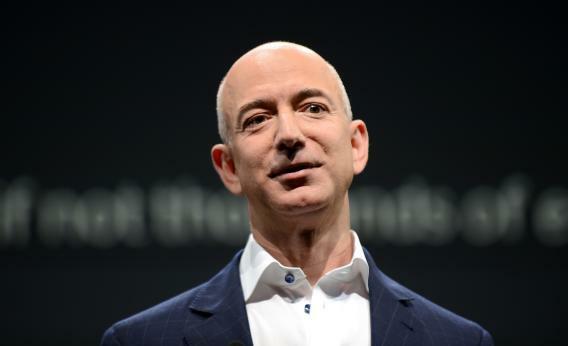 This week, the multibillionaire founder of Amazon.com, Jeff Bezos, waved his magic money wand and bought the Washington Post—reportedly for four times the amount the newspaper is worth. (Slate is owned by the soon-to-be-renamed Washington Post Co. but was not included in the sale.) The purchase has prompted some, including his new media property, to remember previous Bezos investments of the strange and fascinating. And this, friends, is what brings us to a 10,000-year clock currently under construction on top of some mountain in Texas. The name “10,000-year clock” is no exaggeration. Bezos and the other members of the Long Now Foundation intend to build a clock that runs for 10,000 years—with little to no human intervention and no practical purpose. As a concept, the clock is meant to raise questions about the long-term goals of civilization and what it means to be “good ancestors.” Prescient topics, to be sure—especially beset as we are with the effects of climate change, widespread pollution, and unmitigated consumption of natural resources. Still, 10,000 years? I’ll be surprised if we make it 200 without nuclear implosion, ecosystem collapse, or death by Kaiju. But then, I guess that’s sort of the point of a clock that keeps on ticking without human intervention. The clock itself can only be described as miraculously trippy. It will require a day’s hike just to get to the opening, which is located 1,500 feet up the side of a mountain on Bezos’ property. Like something out of Shawshank Redemption, a jade and steel door marks the entrance to the inner sanctum. (Another steel door within acts as an airlock against dust and wild beasts.) Then, after a few hundred feet of dark tunnel, you’ll arrive at a 500-foot vertical tower with a pinprick of light shining down. Steps carved by a stone-cutting robot lead up to the clock’s 20 gears—enormous, 8-foot-wide cogs made out of marine grade 316 stainless steel and weighing up to 1,000 lbs a piece. These “Geneva gears” are the clock’s computer. Through a system of slots and sliding pins, they allow the clock to calculate more than 3.5 million chimes so that when the contraption toots its own horn, it will never repeat the same melody twice. (OK, almost never.) The clock’s face is in another room, and it “displays the natural cycles of astronomical time, the pace of the stars and the planets, and the galactic time of the Earth’s procession.” Another display wheel shows you the exact time of day it was last wound and what time it is now. Prisms, self-winding counterweights, secret grottos, once-in-a-millennium cuckoo birds—honestly, it goes on like this. I haven’t the space here to describe all the extremely forward thinking involved, but I will say reading about it leaves me in many shades of awe. Say what you will about its purpose as a think piece, it’s difficult not to be wooed by this amazing, Indiana Jones-ian contraption, and I want to applaud its creators for building it. But then, I also have to believe Bezos’ $42 million could be better spent on problems of the not-so-distant future. And that raises another question—if a billionaire wasn’t financing this clock, would we even care? I mean, imagine how you’d react if some ragged band of desert Bandaloops started carving a clock out of crag and saying things along the lines of, “Like a heart beating while we sleep, the Clock in the mountain keeps time even when we pretend the past did not happen and the future will not come.” In the end, the 10,000-Year Clock doesn’t really care what we think. You and I are barely perceptible blips on a millennial cog that will, once completed, move far slower than the proverbial pace of a glacier. (Especially today’s glaciers.) A clock built to keep time for 1,000 decades would laugh at the fleeting fascination we devote to it every few months when someone remembers it exists. And it wouldn’t bother itself with questions of “Why?” or “How much?” or “Aren’t there bigger problems?” A 10,000-Year Clock says nothing. Call it an extravagance. Or call it a masterpiece. After 10,000 years, what’s the difference?